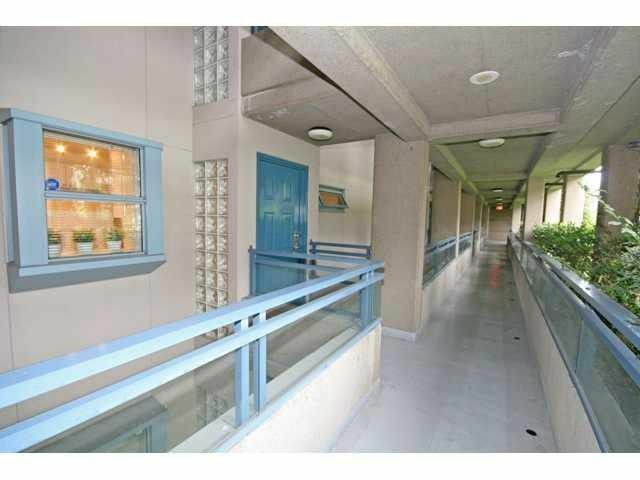 GORGEOUS, 2 Bdrm & DEN, in the heart of International Village in a well-managed low-rise concrete building. This home comes complete w/ a SE VIEW of MT Baker, City Line & Ocean from your Big 12' by 8' balcony. You may also walk onto theLARGE roof terrace/Patio Sun-deck, just outside your front entrance door. BRIGHT Kitchen features S/S appliances & outside window! Also has laminate flooring, gas F/P, insuite laundry, 2 SPACIOUS bedrooms, a great layout w/ plenty of closet space. Just steps to Skytrain, shopping, theatres, trendy restaurants, T&T Market & Gastown. Amenities Include: indoor pool, REC Room, Gym, sauna/steam & bike room. This home has it all & it won't last. Rentals are allowed & it's pet friendly too. WOW!